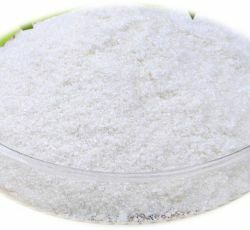 Arbutin is a kind white needle crystal or powder, extracted from the leaves of bearberry, could accelerate the decomposition and excretion of melanin, thus reducing pigmentation of the skin and eliminating age spots and freckles, even has an effect of sterilization and anti-inflammatory. Arbutin, also known as b-arbutin, occurs naturally in several different plant species. Plants with the highest known concentrations are bearberry and mulberry. It is also found in blueberry, cranberry, wheat, and pear varieties. Bearberry has been used for centuries in Europe and North America as a traditional medicine. Before the discovery of modern antibiotics, bearberry was one of the few known naturally-occurring anti-microbial medicines. The antimicrobial activity is due in part to the presence of arbutin. 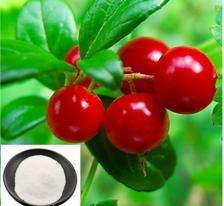 Bearberry is traditionally used to treat urinary tract infections. Synthetic forms of arbutin, a-arbutin (an isomer of b-arbutin) and deoxyarbutin, can be created by chemical synthesis or by an enzyme-catalyzed process. In in vitro studies, both of a-arbutin and deoxyarbutin appear to have a stronger inhibitory effect on melanin production than b-arbutin. Beta arbutin (commonly known as Arbutin ) is derived from the fruit bearberry leaf . Cranberry and Blueberry plants . 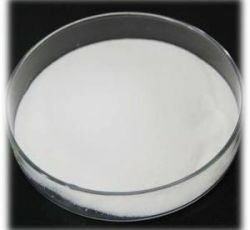 Beta Arbutin cooperate as Kojic acid that inhibits the production of tyrosinase and limiting pigments are produced. Salicylic acid (from Latin salix, willow tree) is a monohydroxybenzoic acid, a type of phenolic acid and a beta hydroxy acid. It has the formula C7H6O3. 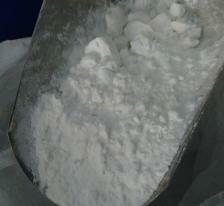 This colorless crystalline organic acid is widely used in organic synthesis and functions as a plant hormone. It is derived from the metabolism of salicin. In addition to serving as an important active metabolite of aspirin (acetylsalicylic acid), which acts in part as a prodrug to salicylic acid, it is probably best known for its use as a key ingredient in topical anti-acne products. 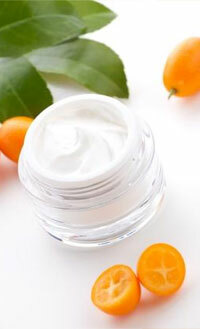 The salts and esters of salicylic acid are known as salicylates. The medicinal part of the plant is the inner bark.